I may be a bit biased. Mr. Gaughen was very kind to send me his second book in the Final State series. It is a very interesting story, but there was some science I couldn't follow. That's not the author's fault however. The Dranthyx are back after being destroyed 99.7% in the last book. Do they still want to take over the world? Dan is the Principal of the Aegis government. Can he be trusted? He wants to unite all the governments in the US, but is that a good idea? You'll have to read the book to find out. 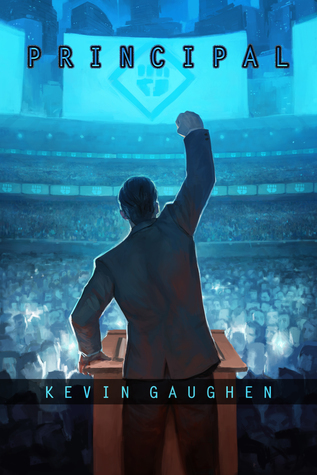 Kevin Gaughen - Kevin Gaughen holds a degree in writing from Carnegie Mellon University. In his spare time, Gaughen enjoys night photography, Brazilian Jiu-Jitsu, and engaging in pointless arguments on the Internet. He currently lives in Pennsylvania with his wife and their three kids.